Pocahontas County, in eastern West Virginia (WV), was created in 1821 from parts of Bath, Randolph, and Pendleton counties and was named in honor of Pocahontas, the daughter of Wahunsonacock, a chief of the Powhatan Indians. Its county seat is at Marlinton. 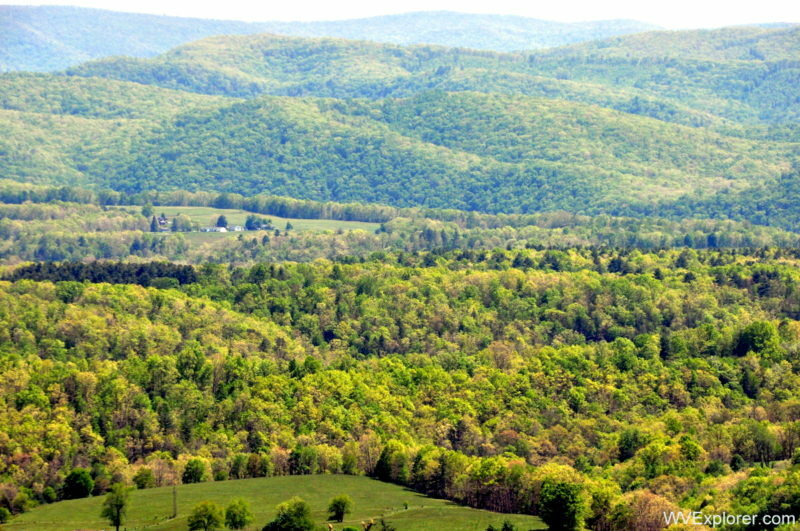 Located in the Allegheny Mountains, the region almost entirely mountainous. Many important rivers rise in Pocahontas County, which is often referred to as part of the “Birthplace of Rivers” region. The Elk, Cherry, Gauley, Williams, Cranberry, Greenbrier, and Tygart Valley rivers, and the Shavers Fork of the Cheat River, all source in its highlands. Ski resorts on and near Showshoe Mountain attract thousands of tourists annually, as do state parks, national forest areas, and the National Radio Astronomy Observatory at Green Bank. As of the 2010 census, the population of Pocahontas County was 8,719. 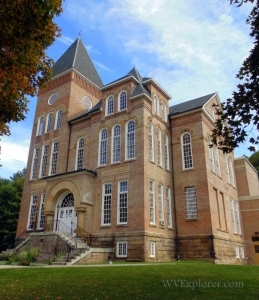 Further information on lodging, dining, and recreation in Pocahontas County may be found in our guide to travel in the Allegheny Highlands Region of eastern West Virginia, in which Pocohontas County is located. Much of the southern region of the county is located in the Greenbrier Valley Region, in which travel information may also be found.